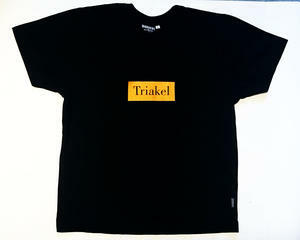 Hi quality tight black T-shirt with orange print. Only size M and girlie S left. Dont forget to let us know what size you want.